If the Oracle database server is 64 bit, you need to install the 32-bit Oracle Client. BioStar 1.x is a 32-bit application, so it can load 32-bit DLLs only. By installing the 32-bit Oracle Client, we can get 32-bit Oracle libraries. 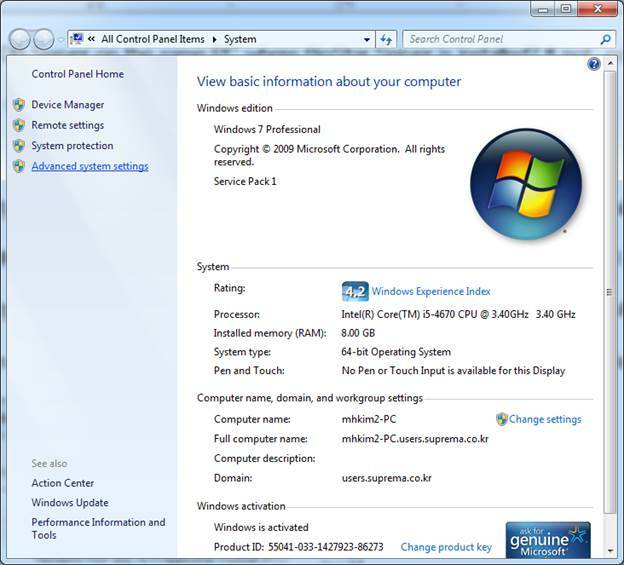 You can download the 32-bit Oracle Client from http://www.oracle.com/technetwork/database/enterprise-edition/downloads/112010-win32soft- 098987.html. 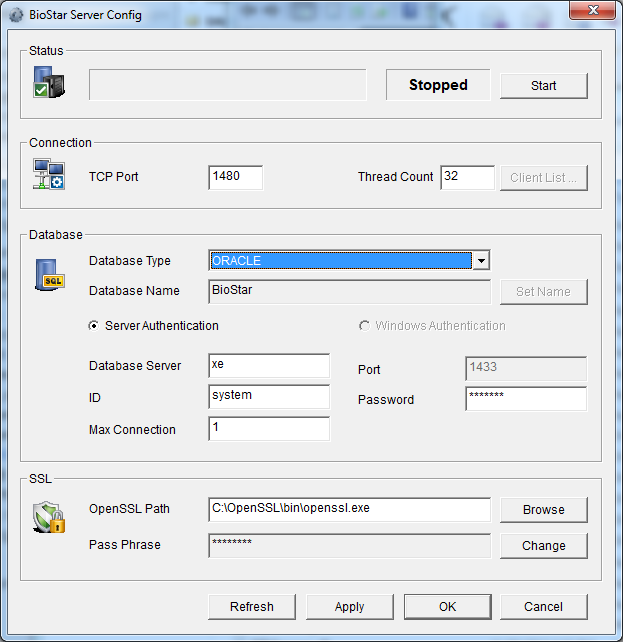 After installing Oracle Client, you need to copy the tnsnames.ora file from Oracle Database Server PC to BioStar Server PC. Let’s say that the Oracle Database is installed in the C:\oraclexe folder. The tnsnames.ora file is located at C:\oraclexe\app\oracle\product\11.2.0\server\network\ADMIN. 1. Copy the tnsnames.ora file to the admin folder of the Oracle Client. If the Oracle Client is installed in the D drive, the admin folder for the Oracle Client will be D:\app\mhkim2\product\11.2.0\client_1. 2. Open tnsnames.ora using Notepad and edit it if needed. For example, you might need to change the IP address. You need to create an environment variable to designate the tnsnames.ora file. 3. 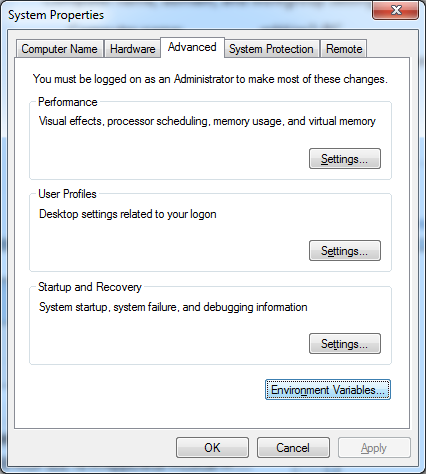 On Control Panel, go to Advanced system settings > Environement Variables. 4. Click New to create the variable. 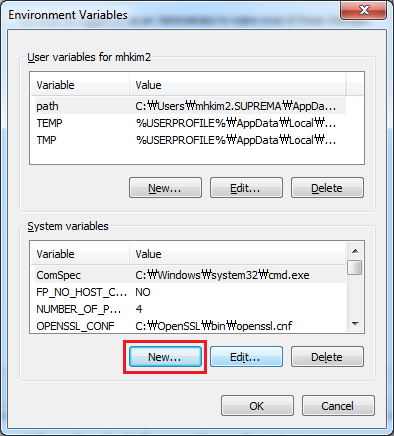 Set the variable name to TNS_ADMIN and enter the admin folder for the value. 5. In Control Panel, go to Services and restart the Oracle Listener service and Oracle Service (OracleServiceXE, OracleXETNSListner). 6. 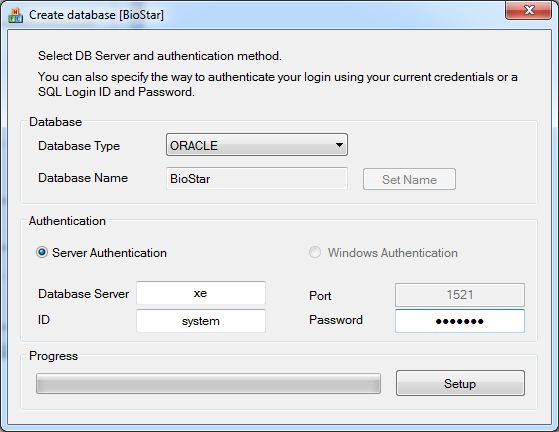 Run BioStar Server Config, set Database Type to Oracle and configure the DB settings. Click Apply. 7. Go to C:\Program Files (x86)\BioStar\server and run DBSetup.exe. When a message box asking to install MS SQL Server prompts, click No. 8. 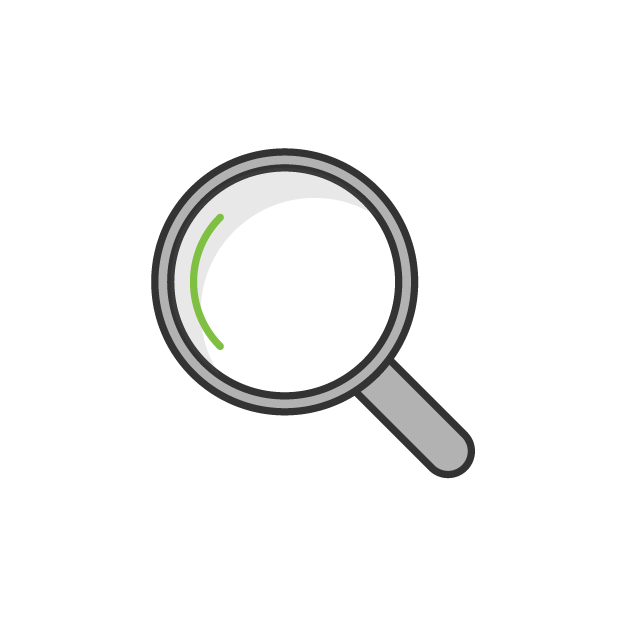 Set Database Type to ORACLE and configure the DB settings. Click Setup. 9. On BioStar Server Config, click Start.